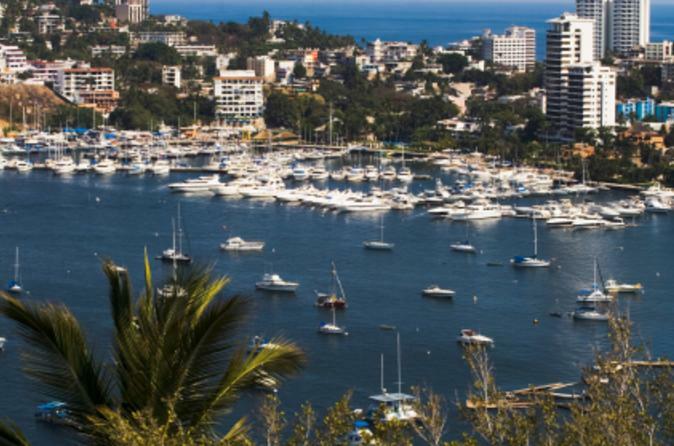 Spend your time in port in Acapulco discovering the best of this seaside destination on a city tour shore excursion. Once the playground of Hollywood's rich and famous, Acapulco has a rich history, stunning Pacific Ocean scenery and extraordinary cliff-divers. The Acapulco city tour shore excursion takes you to the most fascinating and historic points in Acapulco. Enjoy a relaxing, scenic drive along the coastal highway, where you’ll stop to take photographs of beautiful Acapulco Bay. Continue on to the spectacular pyramid-shaped Princess Hotel, where you can walk through the stunning tropical gardens. Before returning to the city, there will be a stop at a craftwork market so you can pick up some locally made souvenirs. After passing through the hotel zone and the main square, you will finally reach the La Quebrada cliffs, where world-famous daredevils risk their lives on daily cliff-diving shows. We will ensure your timely return to Acapulco for this activity. In the rare event your ship has departed, we will arrange for transportation to the next port-of-call. See our terms and conditions for full details.